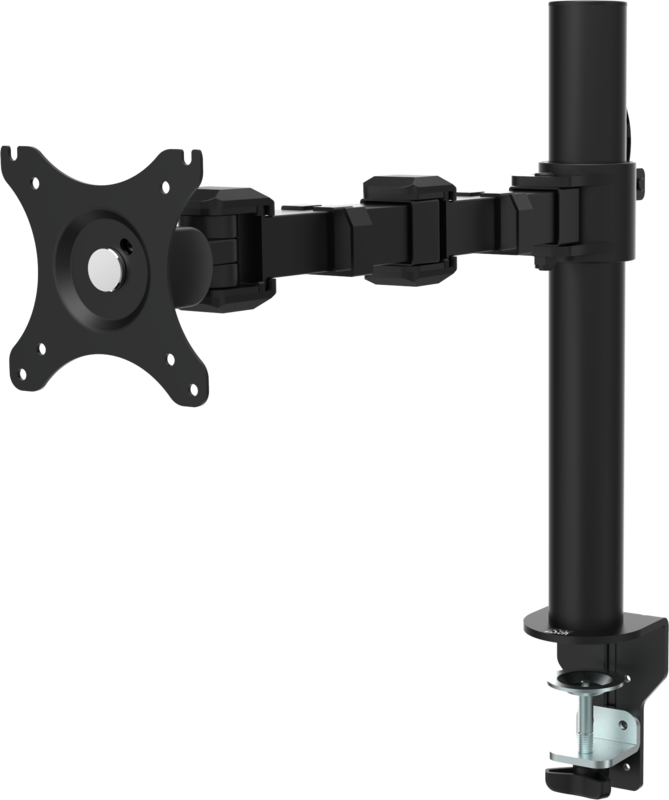 Vision’s Vision Flat-Panel Mount – Desk range is tough and flexible. 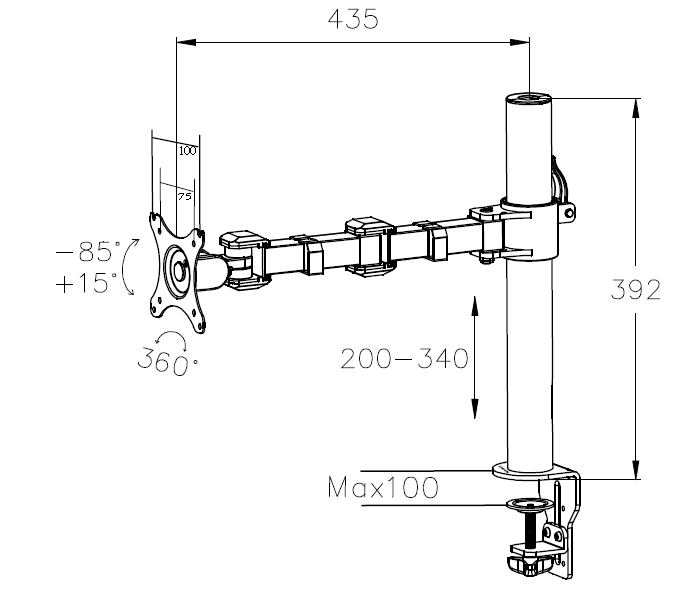 The VFM-DP (desk post) fits any flat-panel LCD or LED screen which has 100 x 100mm rear mounting holes – most computer monitors. The VFM-DP can support monitors up to 10 kg (22 lb). 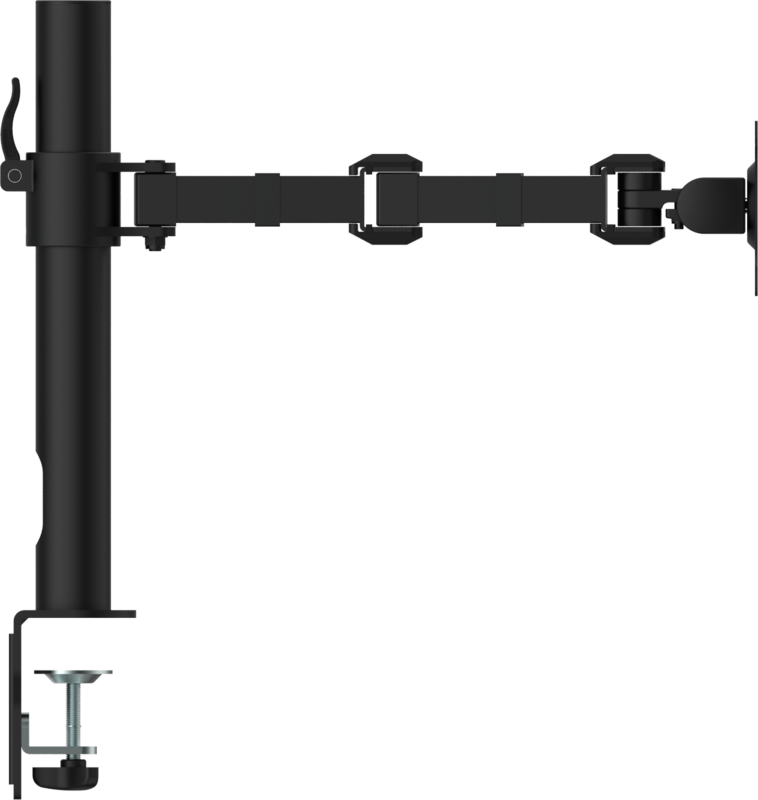 Slide articulated arm up and down the post, then lock off at required height. The post is 392 mm (15.4″) tall. 85-15° of tilt adjustment, and 180° of rotation adjustment, plus the double-articulated arms puts the display right where you need it.